It’s been another action packed week in Alaska politics. Between the budget, PFD, and crime bills, the legislature has been busy. Governor Michael J. Dunleavy (R – Alaska) spent the week at a global energy conference in Houston. And ballots for the Anchorage municipal election went out in the mail this week. A friendly message and reminder to all our readers, the Landmine is made possible by myself and a team of awesome Alaskans. It takes a lot of work to provide the content we do. There are now additional costs that I have temporarily located to Juneau. If you enjoy the content we provide, please consider making a one time or recurring monthly donation. You can click here to donate via PayPal. We would really appreciate it! And thanks to everyone who has been supportive. Governor Dunleavy spent the week in Houston at CERAWeek, a global energy conference. He was promoting Alaska’s energy and resource potential. On Friday (3/15/2019) morning he addressed a group with Daniel Yergin, vice chairman of IHS Markit. This was definitely a high level conference. The fee to attend was $8,500! 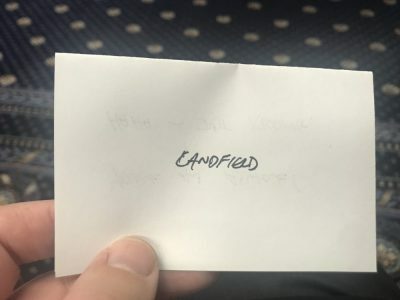 However, Dunleavy and his peeps had the fee waived as he was a speaker. Senator Lisa Murkowski (R – Alaska) also spoke at the event. While it’s true some lawmakers plan on taking large portions of the PFD to pay for government, the post was seen as casting everyone in the same light. Recognizing that there are many lawmakers who will stand up for the PFD and follow through on their promises to Alaskans, the social media post was removed. Here is a Landmine article about the whole thing. This gem was sent to the Landmine by a loyal reader. 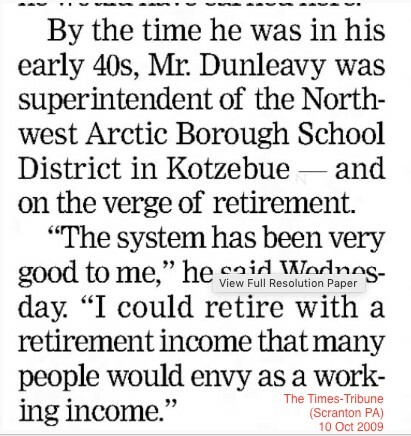 It’s from a paper in Dunleavy’s hometown of Scranton, PA. Presented without comment. The Alaska Marine Highway System has been a big topic this week. The House Transportation Committee heard testimony from literally hundreds of Alaskans about proposed cuts to the ferry system. The committee is chaired by Representative Louise Stutes (R – Kodiak). Some Republican legislators aren’t happy about all the time being spent on public testimony. Representative Sara Rasmussen (R – Anchorage) said instead of being fixated on one government system, we should be focusing on all of them. She cited the Juneau access road and the Port of Alaska. The road would not actually connect Juneau to the road system, just make the ferry trips to certain communities shorter. And there does not seem to be any large proposed cuts to the Port of Alaska. Unlikely Rasmussen and Stutes will be enjoying a nice ferry ride together anytime soon. The House overwhemingly passed a resolution in support of oil exploration in the Arctic National Wildlife Refuge (ANWR). It passed 36-3. It was passed the previous week in the Senate. The House added a local hire clause in their version. The revised version passed the Senate 18-1. Many of these resolutions have been passed over the years but this is the first year where ANWR has been opened to oil exploration. During floor debate, Representative Geran Tarr (D – Anchorage), who co-chairs the House Resources Committee, spoke against the resolution. At one point she spoke about a false equivalency rural residents face between services and resource development. House Speaker Bryce Edgmon (I – Dillingham), who actually represents rural residents, did not take kindly of her remarks and scolded her. Edgmon seems to be moving towards full G status. Not long after that little interaction, Representative David Eastman (R – Wasilla) spoke on the floor about calendaring and the uniform rules. He felt the Rules Committee broke the rules by placing the resolution on the calendar without telling the committee. After some back and forth, Edgmon’s decision to rule his objection out of order was held up by a vote of the body. After the resolution was concluded, during special orders, Eastman again spoke about the topic. Bryce “G status” Edgmon was not amused. He told Eastman he has been very accommodating to him but said an offline discussion needed to happen. Former Judge Michael Corey, who lost his judgeship after the Justin Schneider incident, called in to a Senate committee during discussion of a bill aimed to closing the loophole that allowed Schneider to take a plea deal and not serve jail time. Corey said, “I followed the law as it was, as I was required by my oath. 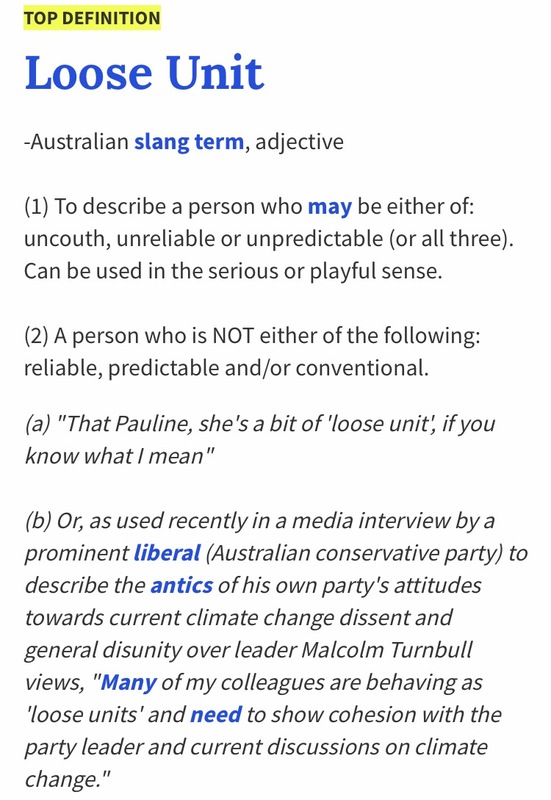 And quite frankly, I was crucified for it.” Very loose. The House Finance Committee announced this week they will be holding a series of meetings across the State to discuss the budget and get feedback from Alaskans. I got word of this before it was officially announced and posted about it on social media. Apparently, minority members of the Finance Committee had not yet been informed and got the news from the Landmine! 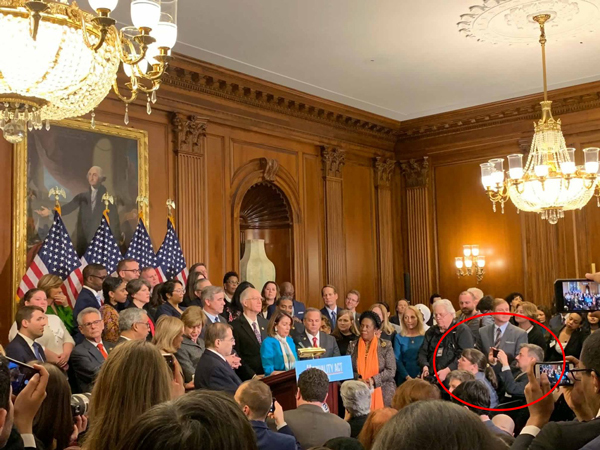 The next day, Representatives Lance Pruitt (R – Anchorage), Colleen Sullivan-Leonard (R – Wasilla), Kelly Merrick (R -Eagle River), and Sara Rasmussen (R – Anchorage) held a press conference about it. Let’s just say they aren’t happy about being in the minority. 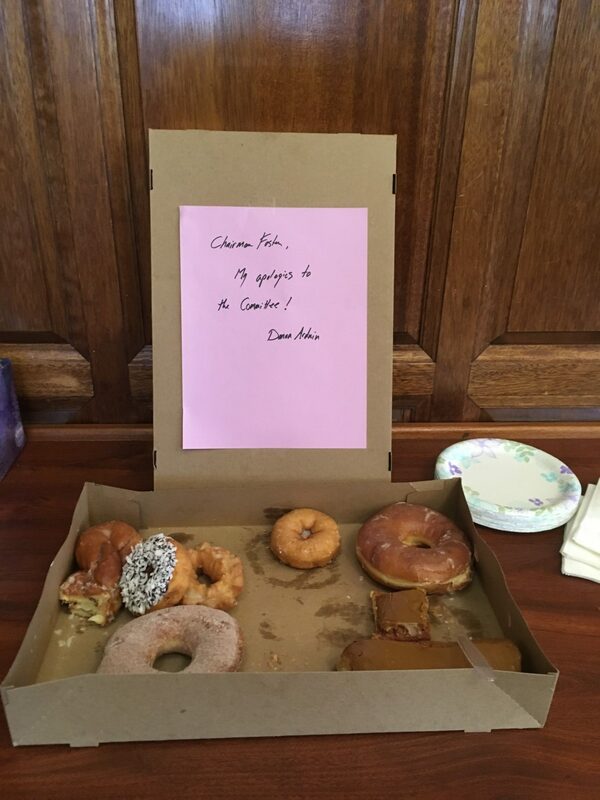 What was OMB Director Donna Arduin apologizing for with these treats and note to the House Finance Committee? Gutting the ferry system? Massive cuts to everything? Identifying as an Alaskan? Your guess is as good as mine. Kelly Tshibaka (Chewie) had another confirmation hearing before the House Finance Committee this week. At one point, Representative Gary Knopp (R – Kenai) asked her about the stunt she pulled in the House State Affairs Committee where she accused Representative Zack Fields (D – Anchorage) of violating her constitutional rights by asking her about her personal views on homosexuality. She said it amounted to a religious test. Knopp noted how some members of that committee seemed to have information about it beforehand, as well as a Must Read Alaska article that appeared not long after the stunt. He also noted that Minority Leader Lance Pruitt was ready to go with a special order the next day. He asked her if it was orchestrated and wanted a yes or no answer. The look on her face during his question was priceless. She denied telling anyone about it. Ok. I would like to give Senate President Cathy Giessel (R – Anchorage) a shout out. She has been doing a series of videos interviewing members of the Senate Majority. She asks them about the districts they represent, their backgrounds, and issues they are focusing on. They are informative and fun to watch. During a Senate Democrats press conference, Senator Donny Olson (D – Golovin) sad that OMB Director Donna Arduin seems to have Governor Dunleavy under some kind of spell. He added that he also seems to be handcuffed. YESSSS! The Alaska Cabaret, Hotel, Restaurant and Retailers Association (CHARR) held a reception for legislators and staff at the Baranof Hotel this week. I showed up too. Let me just say those folks know how throw a party. A great spread and free drinks! 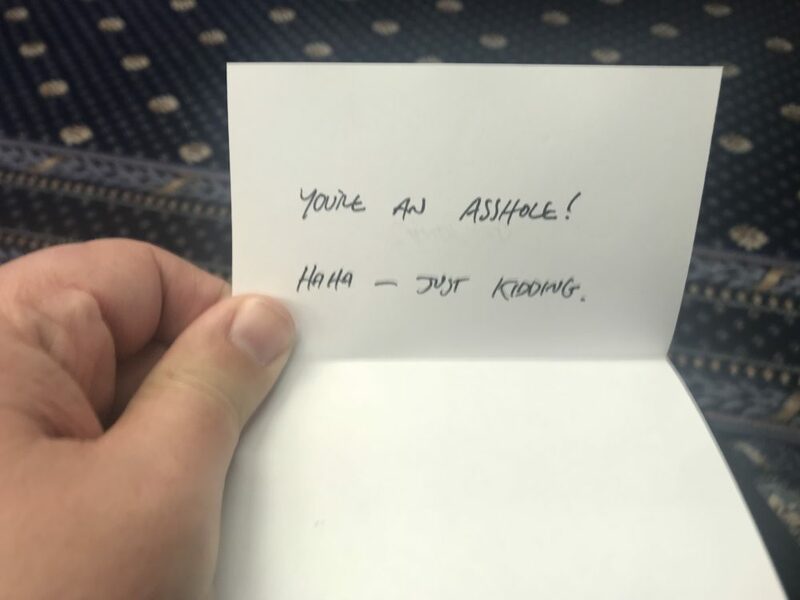 Remember the anonymous note I got in a committee meeting last week telling me “screw you”? This now seems to be a trend, although they are getting nicer. I received this note during a committee meeting (different one) this week. Ballots for the Anchorage municipal election went out this week. 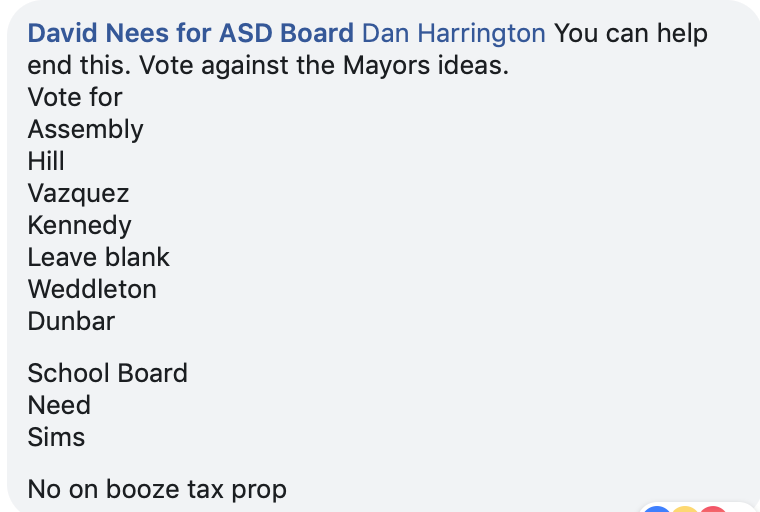 There are five Assembly seats up (Forrest Dunbar and John Weddleton are running unopposed), two school board seats, a bunch of LRSA seats, bonds, and the proposed alcohol tax. Ballots must be postmarked or returned to a secured drop box by April 2. A group, Families of the Last Frontier, is being primarily funded by a Virginia based GOP group. They donated $40,000. Bizarre. Here is an Alaska Public Media article about it. Steve Strait is the chair. He was the chair of a pro-Dunleavy PAC with money from the Republican Governors Association. They made a variety of errors, or just ignored the rules, and faced several fines from the Alaska Public Offices Commission. How loose will he get this time? A quick message to David Nees, who is running yet again for one of the school board seats. You should probably at least spell your name right, mate. Or is Need a write in? Anchorage Assemblymembers Christopher Constant and Austin Quinn-Davidson were spotted at the introduction of the Federal Equality Act this week in Washington D.C.
Jahna Lindemuth, who served as Attorney General to former Governor Bill Walker, has joined his former Chief of Staff, Scott Kendall, at the Anchorage law firm Holmes, Weddle & Barcott. They are teaming up in a joint practice focused on strategic consulting, government relations, litigation, and election law. Word is that some of their projects will start becoming public very soon. Scott and Jahna, keep it high energy! Kevin Baird, a reporter for the Juneau Empire, left the Empire this week. No word on why or what he plans to do. He is one cool cat though. I’ll be honest, Representative Geran Tarr was in the lead most of the week. Her vote against the ANWR resolution as co-chair of the Resources Committee and the comment about rural Alaskans was pretty loose. However, a last minute incident made this week’s designee a no brainer. This week’s Loose Unit is Marti Buscaglia. Buscaglia serves as the Executive Director of the Alaska State Commission for Human Rights. In a move that only a true Loose Unit could make, she used her government role to attack a private citizen. Brenton Linegar owns Sage Mechanical, a plumbing and heating business. He was parked outside of an Anchorage office building this week where he was doing some work. When he returned to his truck, he found this. The post now has over 3,000 shares. Regardless how you feel about the bumper sticker, the use of her government title is very loose. But that is just the beginning. After, she sent an email to his client, who owns the building. She implied he was a racist, said his business performed bad work, and ended with “Can something please be done?” This was sent from her State email. So loose. His post, and the story, have gone viral. Multiple media outlets have reported on it. The Landmine was the first. Here is a link to the article. Those comments tho. 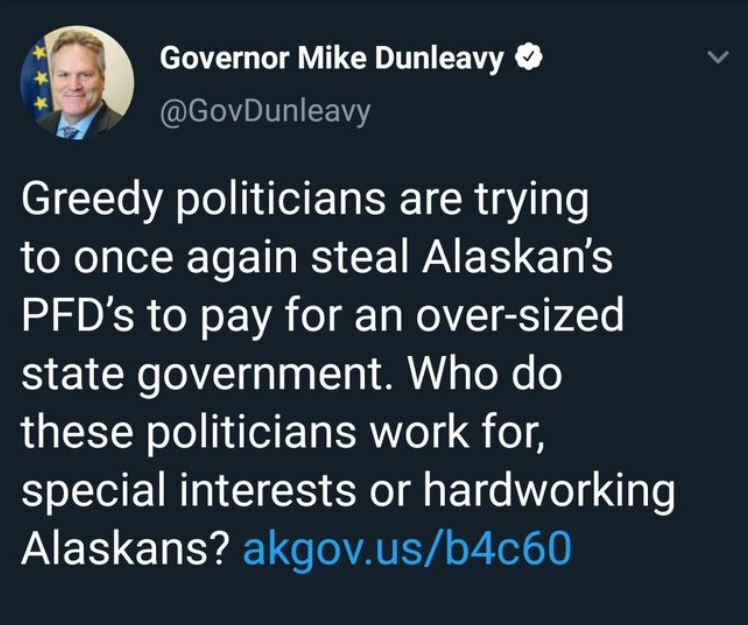 The next day, Governor Dunleavy posted about it on social media and said an investigation from the Department of Law is underway. It’s getting very loose. And in a bizarre twist of irony, check out this tweet from Libby Bakalar. 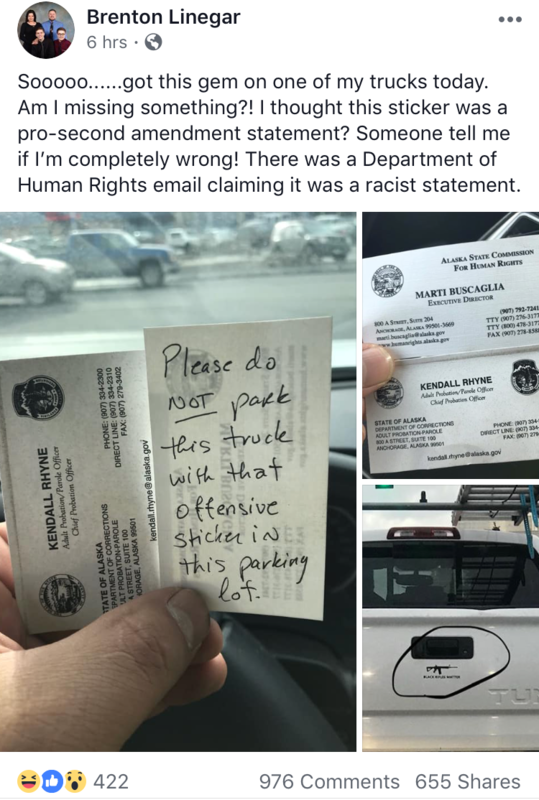 She filed a lawsuit against Dunleavy and Tuckerman Babcock claiming she was let go for unconstitutional reasons, mainly for violating her First Amendment rights. And it wouldn’t be complete without David Eastman weighing in. So loose. Marti Buscaglia displayed gross professional incompetence by using her government position to threaten and harass a private citizen for displaying a benign (if tacky) political message. She clearly does not understand the basic duties of the job that she holds, and should be let go immediately. The public deserves better. …..”Marxist agenda” of Black Lives Matter??? What does that even mean?!???? yeah, I didnt get that either. Jeff, it’s a tradition in (most) committees, particularly House Finance, that if your cellphone goes off, you bring donuts for the committee. I think James, you missed a bit of irony intended there. Quick! Somebody give the governor a primer on proper apostrophe use. Didn’t he used to be a teacher?